Reminder: Our School Days Demotivational Poster contest ends in just two days! The deadline is October 6, 9:30 PM Pacific Standard Time, or October 7, 9:30 AM in Taiwan and Singapore. Please see here for more details. Then I remembered the actual title he was doing, Kimi Kiss Pure Rouge, and once the jiggling started in this show…you pretty much know where it’s headed. Aoi-chan is the childhood friend character in a town full of childhood friends, which means she is not the Promised Girl. You know this is true because she is the first one Sana meets, and because he lives with her. So sorry, Aoi, your assets cannot save you, nor can your bibliomania–to which you are a peon compared to the Patron Saint of Librarians and Humanities PhDs, Yomiko Readman. Plus your voice is very, very, VERY annoying. No. 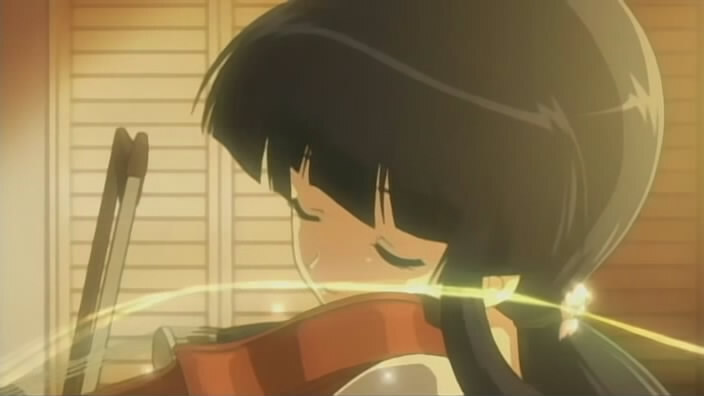 Instead, because this is a formula show, we know that Promise Girl is Violinist Miko Brunette Tsundere Nanaka. 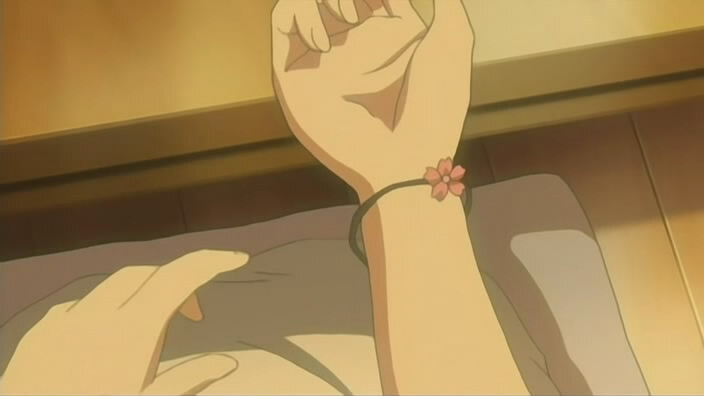 We know it because she has a flower bracelet and bracelets are like pinky promises. And we know what the consequences are when pinky promises are forgotten, which, for the purposes of the plot, our Makoto-haired hero inexplicably does. Ahem. 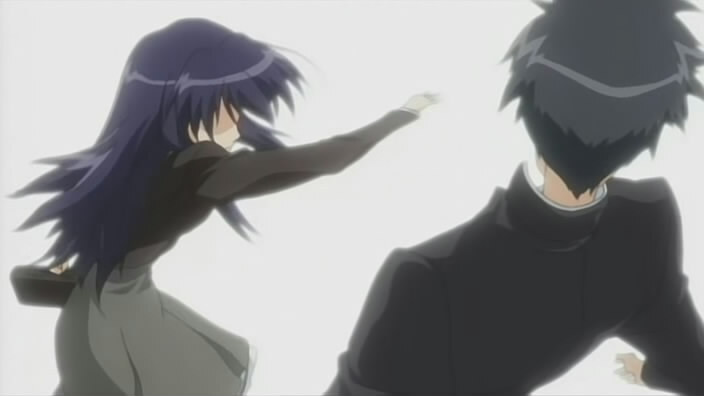 I guess this might be a tradition, my first Fall 2007 posts for a random show that I see on animesuki–this along with Da Capo II are the first first new shows translated into English. In the summer, the first post I made was for Nanatsuiro Drops, which I tired of very quickly (in 2 episodes, to be exact). I suspect this will be the same. But I’m willing, again, to be surprised. Surprise me! *Warning: following this link may cause sugar shock, cringing at overwritten sentences, and astonishment that the author has the sheer egotism and temerity to promote a seven-year-old story he would probably disown if he reread it again.